The Shiva is an all-new Delta-shaped offering from Flexifoil this year and with 3 struts is a departure from the flat centre section they use on all their other kites. 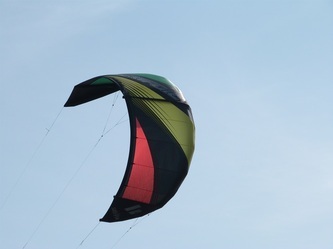 It has medium-thick leading edge which gives the kite great structural stability, and is certainly built to last with full dacron wingtips, canopy sections and even a long strip of aramid along the LE tube. It has a sizable front line bridle with 2 pulleys and a direct rear line attachment. It comes with the tried and tested Flexifoil 1-pump system to help get you out and riding as quick as possible. The bar and lines are very familiar - a narrow diameter bar with heavily embossed grip, a PU coated de-power line leading down to an optional large/small chicken loop with a simple but effective push-away release. The sheeting system is a pull/pull webbing strap which is conveniently placed and has a velcro attachment for the de-power strap so it's always easily accessible. The flying lines are 23m (including leaders), Teflon coated and a real quality affair as they are rated at 350Kg. All in all the bar is simple but very well engineered with quality materials - it gives you great reassurance in your gear. 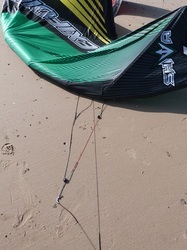 It features a mini 'fifth' safety line to de-power the kite onto both front lines, and OSR handles for a full flag out. The Shiva launches off the beach with ease, either with a prolonged pull on a steering line, or a cheeky reverse launch if you want to show off! Once airborne it is the definition of stability - a great confidence inspiring trait. Bar pressure is light, but does increase to medium when powered. Turning is light and quick, but requires being assertive with the bar to get it to turn in a tight radius. As the wind picks up, the turning goes from pivoting in a small radius to larger more powerful turns as the forward speed increases. 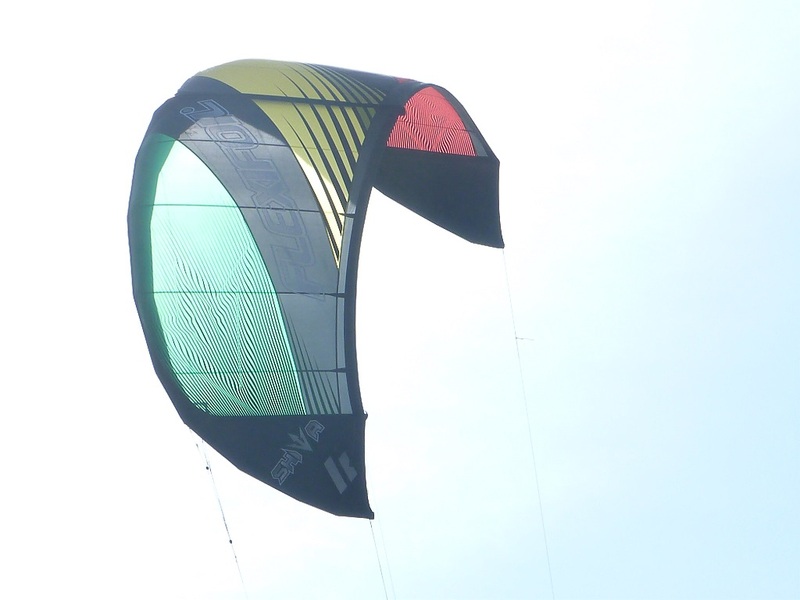 It also unhooks with consummate ease and flies happily without any trimming; it doesn't have the feedback of a true freestyle oriented kite but for its class its really very good. 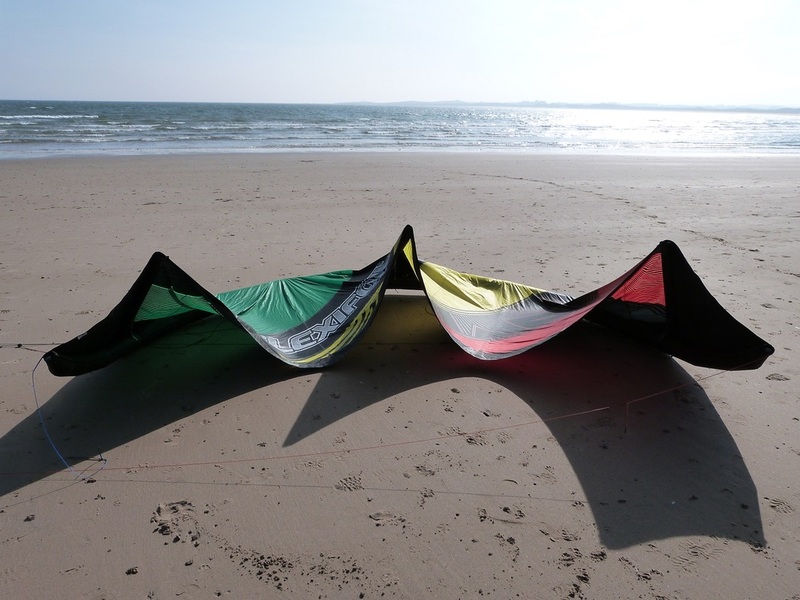 The Shiva is a great dependable kite, its chunky leading edge and deep draft sit it back in the window which gives it excellent stability. I was expecting this to hinder upwind performance a little, but that didn't seem to be a problem at all. The bar pressure is light initially, but when the apparent wind increases the bar pressure does too. The 48cm bar gives plenty of leverage over the kite and doesn't take much effort at all to initiate a turn. 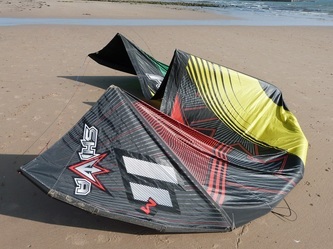 The bottom end seems excellent and has a good overall wind range, which performs very much like a kite of a larger size. Water relaunch is excellent - if its at the edge of the window, the Shiva just sits there waiting for your command to fly again, and when nose down it pivots off the water with ease in response to a prolonged pull of an outside line. I'd also given it a tumble in the waves and its LE retained the stuctural integrity admirably, ensuring it stayed above the break and well clear of trouble. The Shiva is a fun kite to jump with - not quite on par with more performance oriented kites such as the Force, but when well powered and sent hard you can get some lofty airs with good float on the way back down. 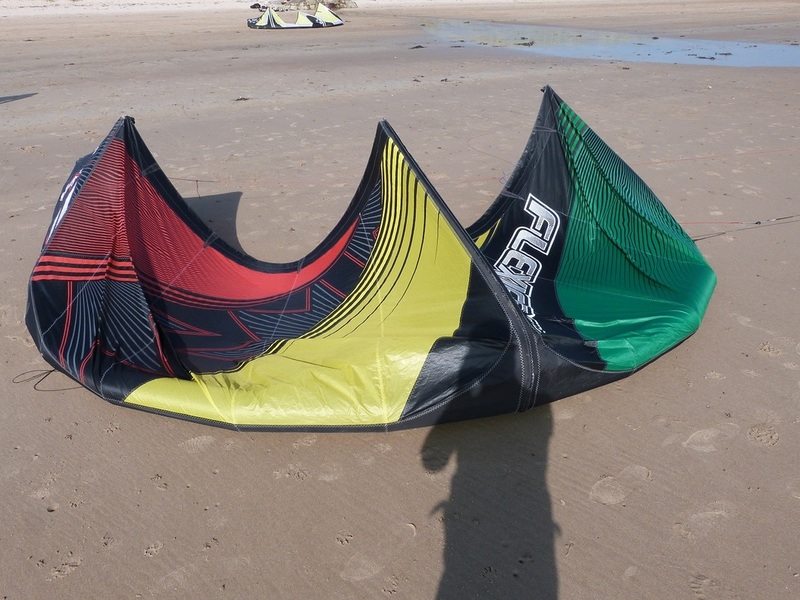 Its hooked-in and unhooked stability is great for getting into freestyle with - it also pops nicely for basic unhooked manoeuvers, but is not really the ideal choice for competition freestyle. A great all-rounder. An excellent choice for a beginner wanting stability and easy relaunch, with great properties for progressing into freestyle and basic unhooking. It's also a great choice for wave-riding with its light turning, stability, fast relaunch and heavily reinforced construction.